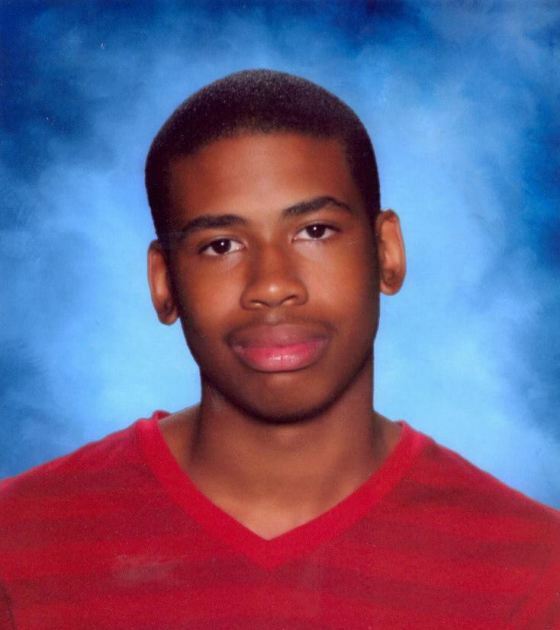 Washington – Today a jury found Michael Dunn guilty of three counts of attempted murder and one count of firing a deadly weapon in a November 2012 shooting which left 17-year-old Jordan Davis dead. The judge declared a mistrial on the charge of first degree murder and a retrial may be scheduled for later this year. There is no right more fundamental than the right to live. As the prosecution proved, Michael Dunn needlessly fired one shot after another into an SUV filled with unarmed teenagers whose only crime was having the audacity to challenge a stranger’s demand to turn down their music. Today’s decision is the beginning of the dispensation of justice, but the fact that jurors could not convict Dunn of first degree murder – when his killing of Davis was not a matter of debate – is a travesty that must be rectified in a second trial. It is also further evidence that laws such as “Stand Your Ground” muddy the boundaries of self-defense so much that the imagination of the shooter is given the same weight as the reality of his victim’s intractable death. The painful reality is Jordan Davis’ parents will never get to see their son graduate from high school, pursue his dreams or grow into a man. When Dunn unloaded his gun on Jordan and his friends, it’s clear he didn’t see youth at the dawn of life. He didn’t see the humanity of teenagers enjoying music. He saw race. He saw Blackness. His bias, as evidenced by his remarks about “thug music,” triggered a chain of events that led to the death of another innocent young Black man. When Dunn unloaded his gun on Jordan and his friends, it’s clear he didn’t see youth at the dawn of life. He didn’t see the humanity of teenagers enjoying music. He saw race. He saw Blackness. While many of us are tempted to believe the dark days of racial intolerance and hatred have passed, this case suggests otherwise. Racism may not always be as blatant, but it still operates. Today, “thug” is the new code word for the “N” word. Innocent African Americans are still “suspect” on our streets, in our schools and in stores. While Dunn’s Stand Your Ground defense failed in this instance, it is successfully invoked far too often for us to claim lasting victory. To ensure all children are able to grow up and reach their full potential, we must continue to pressure legislators in states across the country to repeal Stand Your Ground laws and other laws with racially discriminatory impacts. We simply cannot continue giving a legal cover for people who combine racial bias and a ready weapon. As a nation, we cannot grow weary of grappling with issues of race, racism and negative perceptions about Black men and boys. This decision should be viewed as a catalyst for continuing to build a movement to challenge inequity and racism. For more information, please contact Jennifer Farmer at 202-487-0967 or via email at jfarmer@advancementproject.org. Judith Browne Dianis is co-director of the Advancement Project, a multiracial civil rights organization. Founded by a team of veteran civil rights lawyers in 1999, Advancement Project was created to develop and inspire community-based solutions based on the same high quality legal analyses and public education campaigns that produced the landmark civil rights victories of earlier eras. From Sherrilyn Ifill, president and director-counsel of the NAACP Legal Defense and Educational Fund: We will never know exactly what Mr. Dunn was thinking when he fired nine rounds at Jordan and his friends, but we have some very strong clues. We know that Florida’s Stand Your Ground law emboldens people to take matters into their own hands and use deadly force, despite the absence of a threat, let alone a weapon. We know that letters he wrote from jail while awaiting trial provide insight about his thoughts on race and who he perceived to be a criminal. In one, he mentioned. “This jail is full of Blacks and they all act like thugs.” He went on to write: “This may sound a bit radical but if more people would arm themselves and kill these [expletive] idiots when they’re threatening you, eventually they may take the hint and change their behavior.” Finally, we know that the criminalization and demonization of African-Americans – and especially African-American men and boys – is deeply rooted in our nation’s history. From the Rev. Al Sharpton: We are deeply disappointed by the verdict in the case of Michael Dunn. Though he was convicted for attempted murder and shooting into the car, the value of Jordan Davis’ life was not addressed in this verdict. The mistrial further sends a chilling effect to parents in the 23 states that have the Stand Your Ground law or laws similar. It requires the civil rights community to head into Florida, which is now ground zero for a national fight to change that law. From Trayvon Martin to Jordan Davis, enough is enough. Nearly 111,000 ColorOfChange members have called for an end to these laws that undermine public safety and give murderers the opportunity to walk free. “Shoot First” emboldens people like Michael Dunn to kill when and where they see fit, and unless we end “Shoot First” laws, we will continue to witness tragedies like the one that took Jordan Davis away from his family. As we accelerate our efforts demanding that state governments oppose and repeal “Shoot First,” we’ll also urge federal officials to investigate how these laws protect and embolden those who commit hate crimes. From the Rev. Jesse Jackson: Even as our thoughts and prayers go out to the family of Jordan Davis in the loss of their son, we must continue to demand that justice be done for that family on behalf of their son. How a jury could reach the verdict of “guilty” for three counts of attempted murder and then be unable to reach a verdict for actual murder when considering the same facts is puzzling and defies logic. 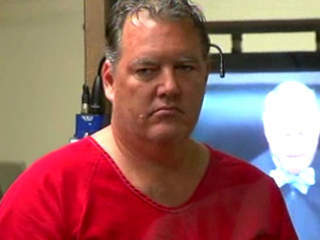 Michael Dunn, the 47-year-old white perpetrator, will probably spend the rest of his life in prison because he was convicted on four of five counts, but justice was denied Jordan Davis and so a new trial is called for. The new trial should possibly try him for manslaughter instead of first-degree premeditated murder. There is also a question about the competence of State Attorney Angela Corey who has refused to address one of the central issues in both the Jordan Davis and the Trayvon Martin trials – the issue of race. This is the third recent case in Florida where the Stand Your Ground law has apparently complicated rather simple cases of murdering young Black teenagers – Trayvon Martin being the other young African American murdered. By contrast, Marissa Alexander, an African American woman whose husband had a history of domestic violence, fired a warning shot into the ceiling after her husband threatened her life and she could not use the Stand Your Ground law, was convicted and sentenced to 20 years in prison. Thankfully, because of public pressure, she will get a new trial. Race was central to all three trials, yet Ms. Corey has been reluctant and has refused to bring the relevant issue of race into the two trials of Davis and Martin. It may be necessary to seek help from the U.S. Justice Department, and the U.S. Civil Rights Commission should investigate the Stand Your Ground law and the surrounding circumstances in all three of these trials. These instances of different standards of justice must not be allowed to stand. We seek equal protection under the law for all Americans. It is difficult to understand why Michael Dunn’s words and actions were not used in the trail. He had regularly used the “N” word at a neighbor’s house and had written racially incendiary letters from the jail. The state attorney seems to be incompetent and should not be allowed to conduct the retrial. We are under siege, the white jurors of the 50s -60s never died they are back, this is a reflection of the society we live in ? Wake up and smell reality.We witnessed a blatant murder of an innocent child ,what we have here is white supremacy in full view, if you can't see it now, may a fool help you in life, even a fool see this is a deliberate act of racism. They jury is playing with it's genetalia and watching TV. This may end up as a mis trial-pure bullchit on a stick -jury of jive. It's not the justice sytem perse, the reflection of the society we live in, which is racist. Racism is daily when the idiots who write about post racist Amerika see this,I hope the retards wake up,the beast never takes off his horns they are sending a message.n Are you listening ,grasshopper,if not, you'll always be late for supper. Post racial Amerika, is this a myth, it has to be, the only people who absorb this fallacy are the people living on fantasy Island. Do you really believe these jurors, a blatant act of murder,and these racist missed their mark.This is too funny,The world is watching Amerika, you people should be shame of yourself. You've not evolved it's not fair to call you hue-mans. Laws have changed but the mentality remains the same. The audacity of them to actually sit through this and and play blind monkey is an abomination.This is a sickness in the minds of many in this country, they should be looking for a cure, their disease was developed in the social construct of their society, and there lies the vaccine to the problem. Medical scince says you can change the molecular structure of your genes by how you think. Which leads me to conclude conclude we have a lot of defective genes running wild in the gene pool. When was the last time a Black cop shot a white youth, almost unheard of, they don't dare run around shooting white folks. The plantation owner will have their hydes! We live in a race base society, once you admit that then you're on your way to reality road. We still have people calling these murders, randum acts,they mean "randumb" Blacks. Trust me, this is national policy, shoot a kneegrow while he's on his kneesor stomach and walk free. Look at Oscar Grant,he was lying on his belly and bang the white cop blew his back open and walked. Then you have Travon Martin caught on tape pleading for his life, the pig shoots him and he judge rules out forencics in voice recognition. What we're witnessing is a blatant disregard for Black people as humans. We need a massive march nation wide to demonstrate to the world the living hell we're faced with on daily basis in the urban jungle. The shooter got convicted of multiple counts of attempted second degree murder. He'll never see the light of day again. Calm down. That said, this concealed weapon thing needs to end.